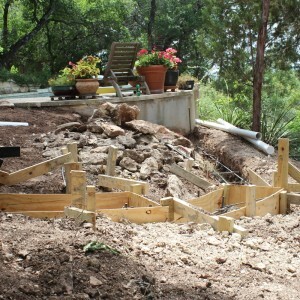 We’ve dug down to solid ground. 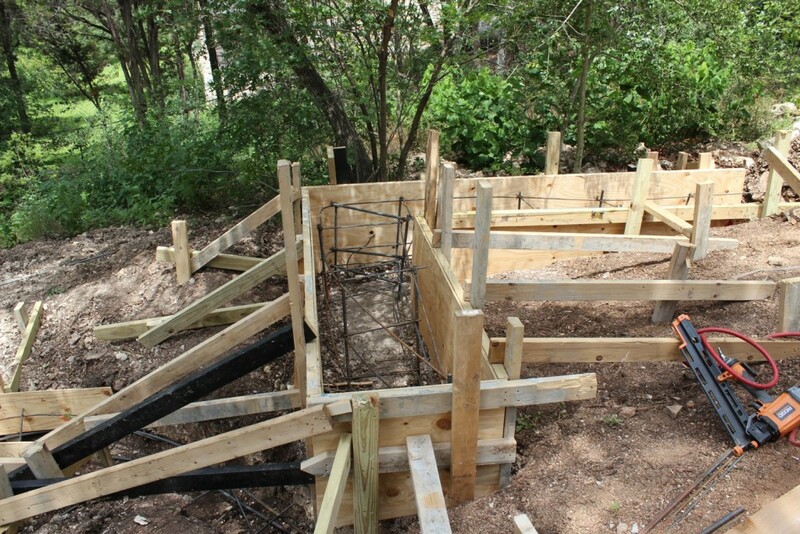 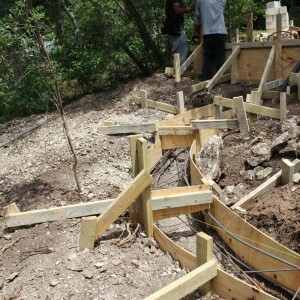 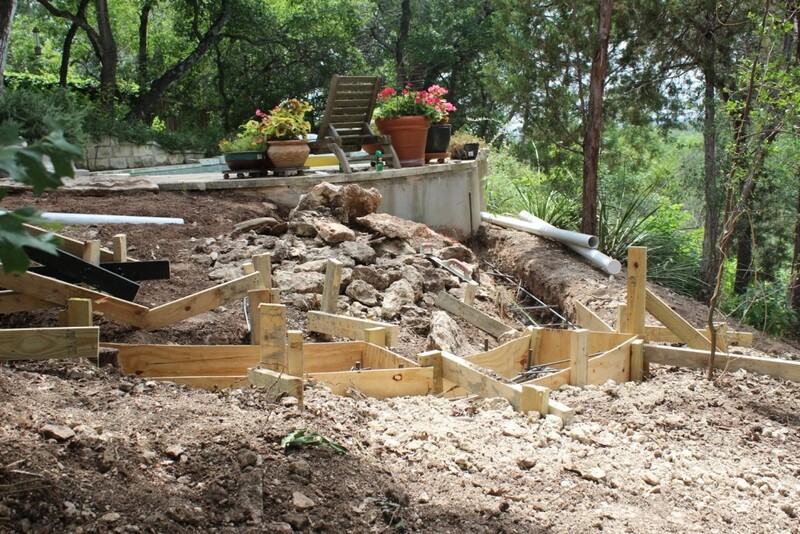 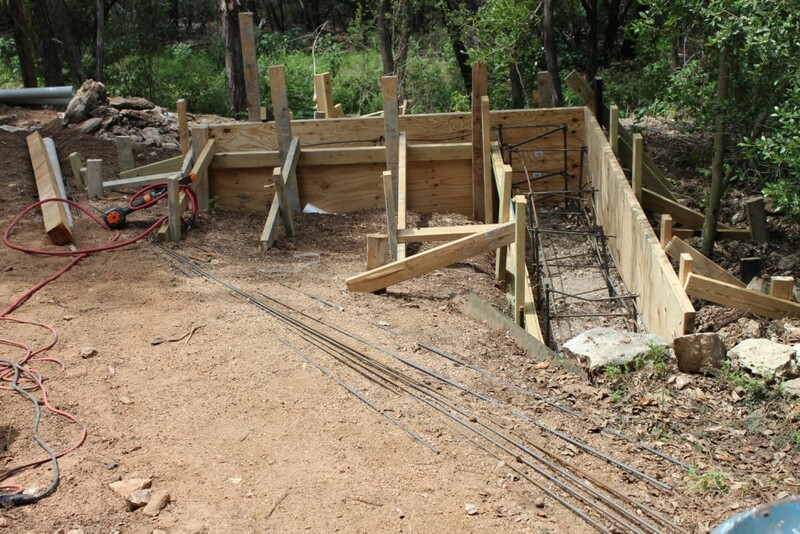 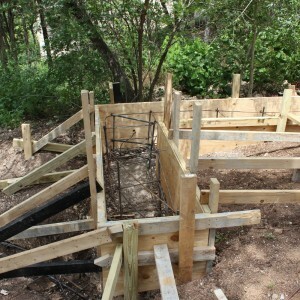 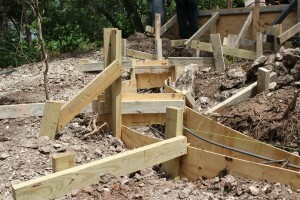 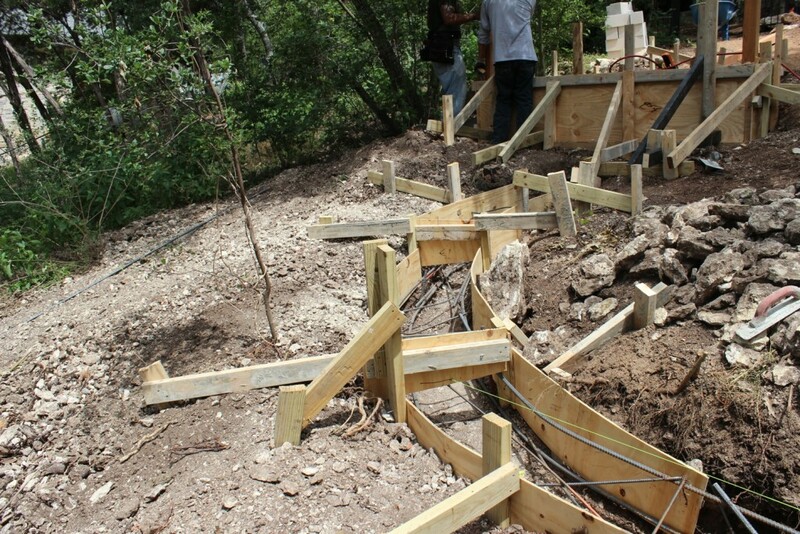 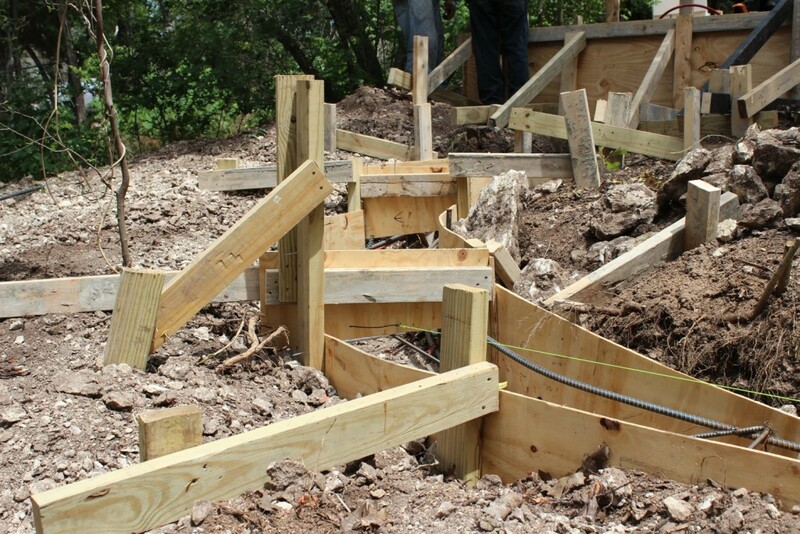 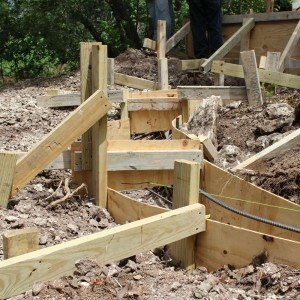 The wooden forms are set and the rebar is in place. 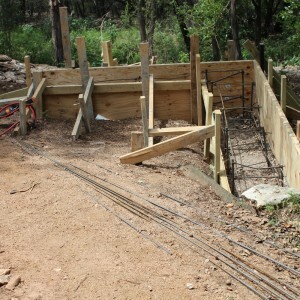 Concrete is delivered and poured into our forms. 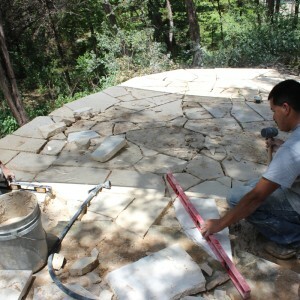 More limestone is going in and its really starting to take shape! 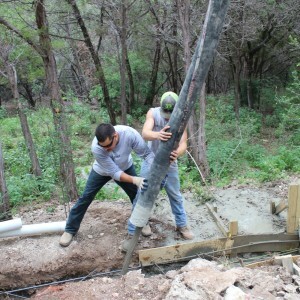 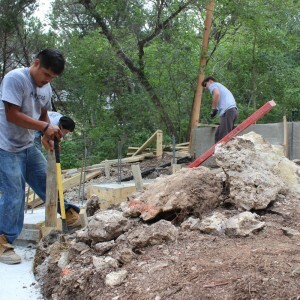 Now that the concrete is dry, the crew works on removing the wooden forms.